She was the brightest of the bunch in our Lady Lafayette Vest, a flower-festooned and feminine vibe for any Victorian ensemble. Striped in a vertical trellis of red ribbon and rosebuds, this women’s vest blooms beautifully during any season of the year. Fully-lined and with notched lapels, this vest features a pointed front that flatters the figure of a 19th century woman. Five fabric covered buttons fasten the front while a black acetate back adjusts for a custom fit. Two inset pockets at the waist keep little must-haves close at hand. Made from 100% polyester microfiber. Imported. Dry clean only. Available in sizes XS - 2X. Love the quality! Love the fit! Love the style! Love it! This lovely vest was well made and economically priced, but apparently Historical Emporium cannot standardize the sizing among its individual suppliers. The size small in this vest was what I would call extra large. Customer service at the emporium is speedy, intelligent, and courteous, though, so my credit card was swiftly credited with not only the sales price but the return shipping costs. I'd be reluctant to shop here again because the return process is time consuming and cumbersome. It might be worth a visit to San Jose to try on garments before purchase, because Historical Emporium seems to stock many fine products. I absolutely LOVE this vest. The way it looks anyway. The construction is also really nice and I'm sure it will hold up beautifully... However, I should have know, the sizing would be 'off'. I ordered an XL reading the sizing chart - which I easily fit into...but the vest does not 'fit' I can't button it. Just be aware, you might want to get the next size up. Purchased this for my plus size friend counting on the two X size to fit. It did not. Would hate to see the "Small" if this XXl is supposed to be big. First disappointment from Historical Emporium. this waistcoat is lovely. it has a look of both the Old West, and Victorian times. it has a nice fit, as well, and is made by Scully, a quality manufacturer of Western clothing. i got mine in size small, and it is close-fitting, yet has space to move about. 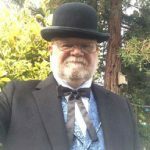 I recently wore this vest to a Victorian Tea and Dance. I received compliment after compliment. I ordered a Small, and it worked beautifully. The only suggestion I would make is for that wasp-waist silhouette, a couple of vertical darts near the bottom would give it that authentic historical look. I may add them myself later. Overall, this was a good purchase for my costuming needs. Outstanding product and quick shipping! Perfect. Great workmanship and Historical Emporium pulls out all the stops to get it to you fast! Will be doing walking tours in a Victorian town, and this vest completes the outfit. The vest is very pretty and I got many compliments when wearing it. The only draw back is that it's not cut for a lady with 'ample endowments' and I have to leave the top buttons undone. I wish the pockets on the women's vest would actually function. For at least a pocket watch. It otherwise fits and looks nice. The lack of pockets was disappointing as I will need to find a tailor to fix. I questioned the size of a coat and Meaghann took the time to actually measure the coat to see if it would fit me. Now THAT is customer service. Then I wanted another coat and it only came in 2XL (I wear a 3XL). She measured that one, too, and it fit me. She should be the employee of the year.